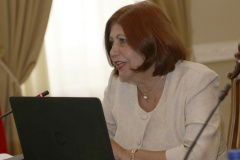 Ms. Milka Ristova has served as a judge of the Supreme Court of the Republic of Macedonia since 2005, her role focuses on cases in the Department of Administrative Disputes. In 2005 she became a permanent educator at the Academy for Judges and Public Prosecutors, and in 2010 she obtained a PhD, writing her doctoral thesis on "Responsibility of Judges of the Republic of Macedonia". Ms. Milka Ristova’s legal experience is wide-ranging, she graduated in 1968 with a degree in Law. In 1974 she passed her bar exam and from 1973 to 1974 she was the court clerk of the District Court of Radovish, after this she became a judge for the same District Court. 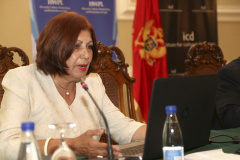 In 1977 she became a judge of the Municipal Court of Skopje, where she focused on criminal justice matters and was the judge responsible for the criminal department. Between1985 and 1987 she was the judge in the District Court of Skopje, where she also handled criminal justice cases. 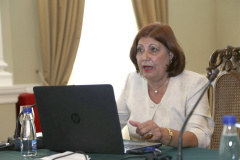 Ms. Ristova was the Deputy National Ombudsman of the Social Self from 1987 to 1990, and in 1990 she became the Government Advisor for the Ministry of Justice, where she was responsible for issues relating to the judiciary. She held this post for 6 years, after which she became a judge for the Apellate Court, acting on economic legal matters.